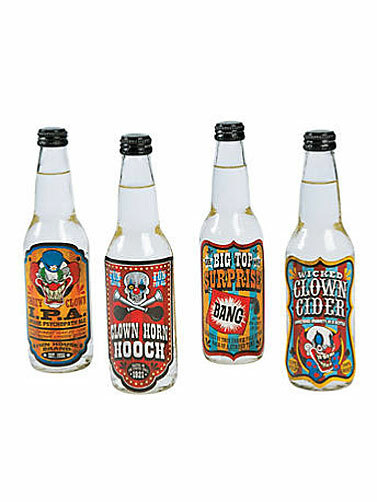 CarnEvil Bottle Labels will turn your soda and beer bottles into Halloween carnival decorations. 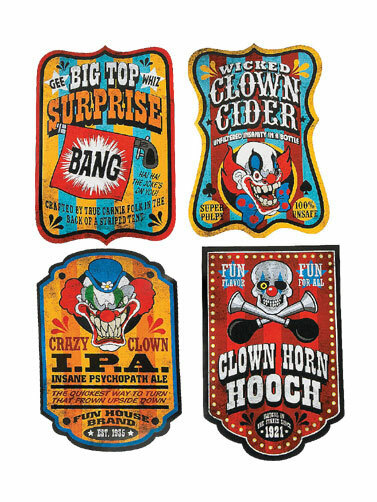 Self adhesive labels feature a creepy carnival theme and come in 4 styles. CarnEvil Bottle Labels measure 3"H x 4.75"H. 12 Ct.